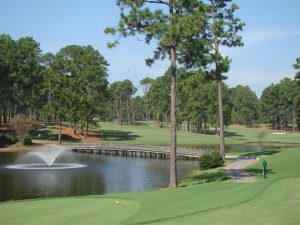 Weeks ago, after Golfweek published its ranking of Mississippi’s top 10 courses, I grew frustrated at the lack of good information about golf in Mississippi and decided I would create my own list. But when I started the process, I realized that it wasn’t another ranking we needed, but a guide. Rankings are subjective, relative, entirely arbitrary, and don’t give much useful information if you’re actually trying to find the right course to play. Golf is not the same game for every person: people of all different means, ages, abilities, and locales head to the course for all different kinds of reasons. That’s the beauty of it. So we set about to create a ranging guide for all of the most important categories to golfers in Mississippi, with an additional nod to the metro area when appropriate. We’ll release the guide in parts here on the Hard Drive. This week we choose 1) Best Overall Experience 2) Best Value 3) Best Overnight 4) Most Classic 5) Most Fun. I look at it this way: if you had one day with someone who’d never been to Mississippi to play anywhere you wanted, where would you go? In that sense, Old Waverly tops the list of courses to tee it up. 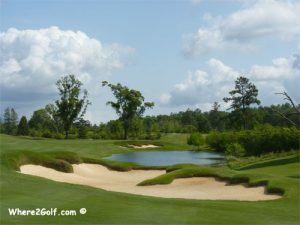 The Jerry Pate – Bob Cupp course in West Point, opened in 1988 and host of the 1999 U.S. Women’s Open, is the consummate Mississippi golf experience: serene, exciting, and immaculately cared for. Waverly drips classic southern charm from the magnolia-lined entrance to the dazzling antibellum mansion overlooking the 18th hole. It’s a buffet of championship golf in between. The front nine takes a second to warm up, but once you probe deeper into the pine trees and gently rolling hills it begins to feel like God’s country for golf. The back nine that wraps around ?? is an exhilarating finish for the photo books. To be fair, Waverly’s intoxicating seclusion stems in part from its exclusively private status, so pull a string and bring the credit card. But if you only have one Mississippi round to play, this is the course. I’m a big believer in course layout for maximizing value. With lower greens fees, you shouldn’t expect spotless greens and manicured bankers. But the layout of a course — its elevation, routing, topography and character — never changes. That’s why Mississippi’s state park courses rank as the best value golf in Mississippi. 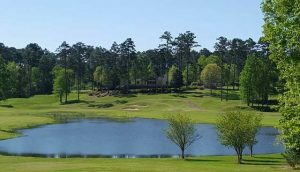 Dogwoods Golf Club in Grenada (Hugh White State Park) and Quail Hollow Golf Club in McComb (Percy Quinn State Park) deliver championship designs at municipal prices (as low as ??). I first played Dogwoods a couple years ago on a trip to Memphis, and couldn’t believe such an enjoyable course existed in such relative obscurity. I adjusted my plans to play it again the next day, accordingly. 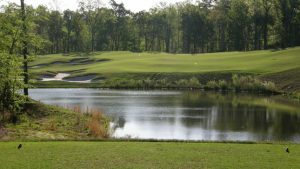 The courses resemble most of the Robert Trent Jones Golf Trail courses in Alabama, only without the financial backing and quality of conditions. But you’ll play some of the most exciting golf holes in Mississippi. Quail Hollow’s series of water-guarded, risk-reward Par 5’s dazzle. Dogwoods’ dogleg Par 4’s and elevated Par 3’s delight. Bring some buddies, forget about the crappy bunkers (or just don’t hit it in them!) and enjoy the fun. With the addition of sister club Mossy Oak Golf Club, the stay-and-play package at Old Waverly is a golfer’s dream. But if you’re looking to live it up with some real Mississippi fun, head to the Gulf Coast. There you can play a bevy of great courses and take in the all the action of the Coast experience. (Read: food, drink, beach, casino). 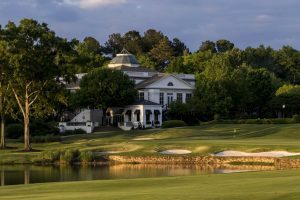 The Tom Fazio-designed Fallen Oak Golf Club, home of Mississippi’s annual Champions Tour event, tops the list of Coast courses to play…if you’re ready to foot the bill for the Beau Rivage room and five-star greens fee. It’s a typical Fazio layout with necky approaches, ever-present water and a surplus of bunkers, but it’s a championship course through and through. I’d alternately recommend hitting Grand Bear in Saucier, a fun, affordable Jack Nicklaus signature design, and Davis Love III”s Shell Landing for a second round. (The Golden Nugget Casino – Shell Landing pairing is the value version of Beau Rivage – Fallen Oak). For nightlife, the world is your Gulf oyster. I’ll defer to history and The Guv on this one. 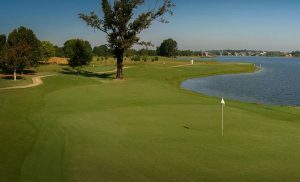 Hattiesburg Country Club hosted the original PGA Tour event in Mississippi, the Magnolia State Classic, from 1968 – 1993. Payne Stewart won his first Tour event there in 1982. Jim Gallagher Jr. took the title in front of a hometown crowd in 1985. Rick Cleveland calls it the best pure golf course in Mississippi, and he’ll certainly agree it’s the most classic. I remember it as inviting and strategic, a true shot-makers course: lots of water, doglegs and delicate shots. Where Waverly feels modern in its pristine opulence, Hattiesburg CC retains the understated, endearing simplicity of south Mississippi. The tall pines lining the fairways drip old-school nostalgia across the course. In the metro area, Deerfield Golf Club i(Gluckstadt) presents a similarly classic feel designed by the legendary Byron Nelson in ?? This is one of those categories that’s harder to qualify. Give me a six pack, a good group and a decent swing and I’ll have fun on your grandad’s goat ranch. Then there’s the invariable truth in golf that the most fun courses are always the ones where you play well. But if you’re looking for a unique thrill you won’t get anywhere else, there’s no question the new Gil Hanse-designed Mossy Oak Golf Club in West Point is the place to go. The George Bryan-backed venture opened in ?? and immediately took an acclaimed place among the national wave of modern minimalist creations. 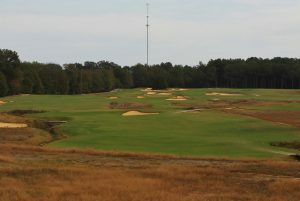 Mossy Oak (“Nature’s Golf”) is an organic course built on the links concept of “following the natural contours of the land” rather than rearranging and recreating it. You play the elements at Mossy Oak: the ground, the wind, the elevation, the absurdly large, undulating bunkers and greens. Every shot is in play, and many you’ve probably never had before. The virtual absence of trees on the course invite the wind and weather, but make for an incredible, unobstructed view of the entire course at certain points, a la Oakmont and Shinnecock. In a crucial evolution from classic links-type courses, modern minimalists like Hanse employ huge fairways, less penal rough and more options off the tee to make their rugged masterpieces more accessible for all golfers. Architects even installed shorter, firmer grass on all of the fairway run-ups to the greens to invite the simpler running shot. Mossy Oak may be a challenge you’re not used to playing, but that’s what makes it such a unique thrill-ride. The metro area’s Lake Caroline is sneaky fun. Both nines start with three easy par-fours and then heat up with a series of Par 3’s and reachable Par 5’s that almost all bring big water into play. Caroline is a great place to go low, or suffer a series of round-shattering rinsers.